Black Rock Caravan and Camping Park (Evanton) - Welcome to the Black Rock Caravan Park. A Scottish Tourist Board 4 Star park situated in scenic Glen Glass and named after the nearby Black Rock Gorge, an 120 foot deep chasm carved out by the River Glass. Boat of Garten Holiday Park (Boat of Garten) - Boat of Garten is the perfect location to explore the Scottish Highlands or simply unwind in the tranquil surroundings 4 star site. 4 miles from Aviemore. We accept caravans, tents and dogs. We have brand new log cabins and chalets for let and sale. 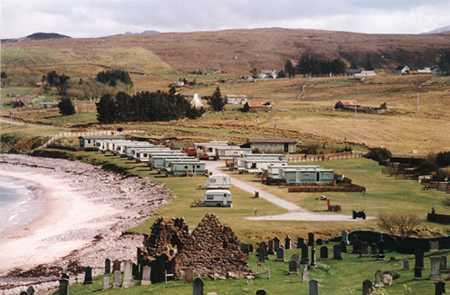 Gruinard Bay Caravan Park (Laide) - Gruinard Bay Caravan Park is situated on a beach-front site extending to about 3.5 acres of level grassland in one of the most outstanding areas of natural beauty on Scotland's west coast. 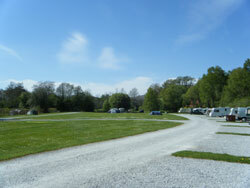 There are holiday caravans for hire and pitches for touring caravans, motor-homes and tents. 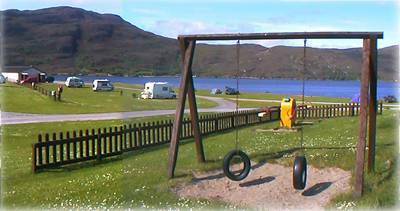 Dunroamin Caravan and Camping Park (Lairg) - We are a small family park situated at the top of the pictureaque village of lairg, only 300 yards from Loch Shin, where the tranquillity is a powerful antidote to relievethe pressures which are a great part of todays way of life. Resipole Farm Holiday Park (Acharacle) - For that special place where you can relax and unwind, Resipole is well positioned to enjoy the peace, the silence and the stunning views. On the Ardnamurchan peninsula, in the Scottish Highlands our comfortable accommodation and facilities will ease away the stresses of modern living. Ardmair Point Caravan and Camping Park (Ullapool) - Ardmair Point -Ullapool This truly unique location situated 3 miles North of the fishing village of Ullapool is a peninsula with a curved pebble bay, set with the dramatic Ben Mhor Coigach mountain ridge as the backdrop for this sheltered sea loch. Halladale Inn Chalet and Caravan Park (Melvich) - The Halladale Inn Caravan park comprises of 14 pitches, six caravans or motor homes with optional electric hook-up and 8 tent pitches. The Chalet Park offers private parking within a fenced garden. There are outside drying facilities in the garden area. 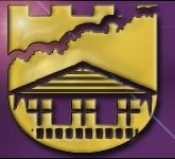 Guests have the option to use the laundry service situated in the Halladale Inn Caravan Site. 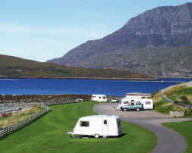 Broomfield Holiday Park (Ullapool) - Broomfield Holiday Park has welcomed visitors to Ullapool for many years. Set on the banks of Lochbroom in Ullapool, looking out to the Summer Islands and Hebrides. Bunroy Caravan and Camping Site (Fort William) - Bunroy Caravan & Camping Site a haven of peace in the heart of the Highlands, surrounded by breathtaking scenery, within easy reach of Ben Nevis and Fort William, an ideal base for exploring, walking, cycling, fishing or just relaxing.